This month’s featured expert is Linda Henry, Chief Editor at NetApp, an enterprise storage and data management provider. Linda has been immersed in the world of online video since it was invented. In 1999 she started a dot com that was an interactive story video series. True to her pioneering spirit, she cut off all her hair, dyed it platinum blonde and took a road trip in character in 2009 to blog, Tweet, and Facebook an adventure around California’s cowboy destinations. Her focus in recent years has been around the aspect of storytelling and she is very much involved in the transmedia storytelling community. So much so, she created the governance body of video at NetApp Transmedia looking at video across different channels of distribution. 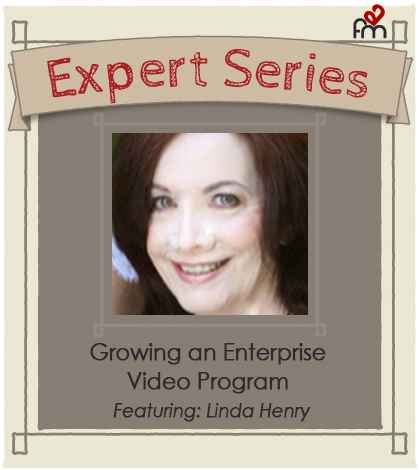 In this interview learn from Linda’s extensive experience on this journey and what it’s like to manage a video program for an enterprise organization. BWF: Who is your audience? Henry: Traditionally, our customers have been IT professionals or software engineers who primarily manage storage within data centers of an enterprise. Our market is now expanding with the cloud, to also address people providing storage in the cloud as a service. The other part of our customer base is our partners and resellers. For instance, Cisco, Microsoft are both our partners but also our customers. BWF: How has online video changed over the years? Henry: We started using video early at NetApp for internal communications and built an internal video studio around 2000. Then, we began different programs to market to our customers. Webcasts was sort of the traditional foray into the use of video. We used to do webcasts for every launch. Initially most of the online videos we produced were talking heads – an executive, or product manager, whomever just talking about a product. Over the years, we’ve evolved and there have been a number of different types of videos we produce. There have been brand videos that talk about who we are as a company, and a lot of customer story videos. BWF: What does your enterprise video program look like today? Henry: We now have a video program strategy focused on ten specific programs. We use it to target different audiences for different purposes, and we then distribute the video in multiple ways. Right now we have a video library on NetApp.com, but we have a project in the works to build a video hub that will be organized to promote these different video programs and better target our different audiences. We’re managing the production of video as though we were a network. Each of our ten shows has a different purpose and somewhat different audience. They range everywhere from what we call our “leadership program” which speaks the business decision maker about big topics in IT on a high level, down to demos walking the engineer through how to use our software. And, a variety of other programs in between. BWF: How do you incorporate videos into website content? Henry: We place videos on contextually relevant pages so that the story that’s being told leads them naturally to getting more information. So a video that walks people through the business benefits of our operating system OnTap, would be placed on the OnTap page. BWF: Do you have your own video player or do you embed YouTube videos to the website? Henry: We use the Brightcove player to hose videos on NetApp.com. They have an integration that automatically pushes out to YouTube. We get analytics from both. BWF: How are you using YouTube? Henry: We have a variety of YouTube channels currently, but are consolidating most of them down to one major YouTube channel we call NetApp TV. We’re going through a process right now to clean up, get rid of out dated videos and reorganize the playlist on our NetApp TV channel to align with our video program. Each of our ten programs will have a playlist. An example of one we do not plan to consolidate is our more tech specific channel, which is all product demo videos. Because there were so many of them, to create one playlist on our main channel would have been cumbersome. This is one channel that provides a specific purpose, and has a specific type of video. BWF: How are you using video for conferences and events? Such as NetApp Insight. Henry: Videos created for specific use at events are done a little differently. Because there’s different types of production needed to play on a very large screen in a hall or in a booth where people are noisy, you must have different elements in the video to attract attention than when you’re playing it on a page or on a website. A lot of times event videos will have a lot of text or copy embedded in the video, because when you’re looking at a big screen or you’re passing by a booth it can be a better experience. You can’t hear the sound so you get those visual cues from the words. BWF: Are text overlays on video a good or bad thing? Henry: We really encourage and work with people to rely on the video medium of sound and visuals, and not words within the videos. Because of our audiences across different countries (roughly 14 different sites and 17 different languages) we translate all the videos and put the closed captioning in the player. The conflict is between the different languages. The text of the closed captioning in the native language versus the text on-screen being in English isn’t a good experience in the other countries. The other thing is just straightforward aesthetics and trying to rely on video as a storytelling medium for external purposes. You don’t want to rely on the words. You could produce a PowerPoint and put it on SlideShare. BWF: How do create consistency in video format and branding across the organization? Henry: Over the last few years, we’ve put a governance process in place around video at NetApp. We’ve just recently launched the program strategy, and we have taken more of a storytelling approach. Some of them are straightforward animations. One program is live action with animation. We recently evolved our brand identity, so we’ll be relooking at the style for each of the videos to adjust them to the new brand identity. While they’ll all look like NetApp, they each will have their own style. More and more groups are producing videos everywhere throughout the company. We are now getting embedded into the process for videos created for internal purposes, so that we can make sure that it meets the criteria for external events upfront, or they create the needed versions for external use during production and editing. BWF: What’s the ideal video length? The general rule of thumb we say is the video needs to be as long as you need to tell the story. But we know that attention span or time that people have to be doing research is limited, so we generally try to keep our videos at the two-minute range. Some of the forms of video, like a demo where it’s used to walk people through how to use the product, are longer because they are instructional. People are looking quick answers. BWF: What are your top KPI metrics? Henry: We have two primary high-level metrics we’re looking at. Influence – We’re using an influence metric to measure all of our content and marketing activities that gets at the dollar value of something versus how much it costs. Henry: Vine. I think they’re fun to look at. I have a niece that does a lot of Vine videos and they’re so clever and fun. BWF: How do you make video actionable? Henry: As part of our storytelling methodology, we have for a while tried to embed a call-to-action in the actual story that we’re telling. We embed them by putting a link in the player itself to take people to the next thing to do. 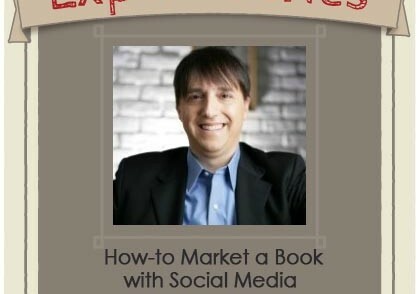 BWF: What one big lesson have you learned that you wish you could teach others about video marketing? Henry: My big lesson WAS just stick with it, measure what you’re doing so that you can use data to convince people of its usefulness. But you don’t even have to do that anymore. Now my opposite challenge is the whole reigning things in and getting us a clear, strategic program strategy in place. You cannot avoid the data out there about the importance of video, and the rise of video as a preferred medium. Linda is editor in chief at NetApp, managing the digital storytelling team, editorial requirements and process, NetApp video program strategy, and information architecture for online publications and distribution channels. She has 20 years of experience in digital marketing focused in video transmedia storytelling. Linda also designed, developed and executed the pioneering Webcast series, AnyCo.com, in 1999. Want to be featured next? Fandom is looking for social marketing rock stars to share their case studies, tips and expertise. Check out our blogging guidelines and contact us or tweet us @FandomMarketing today.